Faculty of Medicine, Suez Canal University and its hospital, Ismailia, Egypt. .
1. The American Academy of Ophthalmology (AAO) untill now. 2. The European Society of Cataract and Refractive Surgery (ESCRS) untill now. 4. International society for quality (Isqua) untill now. Medical Education, degrees and certificates. University of Amsterdam (Academic Medical Center AMC), Amsterdam, Holland. of ophthalmologist’s certificate at April 1997, 1998. Educational Services in association with the British association for e-learning. 2004. Center Of Neuro-Linguistic Programming 5-4-2008 (Dr Ibrahim El Feky). 1. House officer doctor: 1 year 1985-1986.
department, University of Amsterdam, Holland: 1993–1995. Company) Visx excimer laser system physician training course. 6. December 2007: AMO-Visx wavescan system operator training course. a. Automated perimetry. (Octopus 101) Switzerland. multiple points’ corneal thickness assessment. and register iris pattern and prints. (EOG). Conventional and multifocal Recordings. Experience in these equipment enables to diagnose different medical retinal diseases. 1. Pediatric eye surgeries: squint, congenital cataract and congenital glaucoma. 8. Penetrating keratoplasty to remove dense central corneal opacities. 12. Ultra violet Riboflavin corneal collagen cross linking for cases of early keratoconus. Egyptian Ophthalmological Society of Egypt. Washington, USA 1999. LKC Company in USA organized this course. presentations: a. solar eclipse maculopathy recorded in 6 eyes. this conference about clinical electrophysiology of vision. techniques. 2. Lasik different microkeratomes. versus penetrating glaucoma surgery: update). 14. Attending and presenting in the ESCRS winter meeting, in Rome , Italy, February 2005.
in a case of dense cataract, leucoma adherent and non-dilatable pupil”. gap) , at Sharm Al Sheihk, at 20-22 March, 2007.
femotosecond laser lasik at Sharm Al Sheikh, Egypt at 26-28 January 2008.
could it be a factor to reduce scarring and tendency for keloid formation ? at March, 12-13 , at Suez Canal Uuniversity, Ismailia, Egypt. 2009 at Cairo. I was a Moderator in the course titled: Lasik: what is new ? posterior capsule rupture. 2. Mannual versus laser epithelial removal during corneal crosslinking. Could it be a factor to reduce scarring ?. 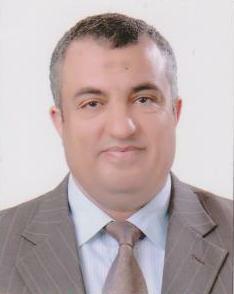 professor in Ismailia in electrophysiology of vision procedures (VEP-ERG-EOG). Glaucoma. Bulletin of the Ophthalmological Society of Egypt. Volume 86, 1993, 415-420. 2.
of the macula in Eclipse Retinopathy Tanta Medical Journal, vol 28, No 1, June 30, 2000. 7. Medical Journal Of Cairo University 2009: Vol 77, Number 4, pages 137-141.
myopic astigmatism using the Visx S4 excimer laser: Efficacy, Predictability, and Safety. in Delta Journal Of Ophthalmology DJO, February2009.